← Caturday Supplement: BLACK CATURDAY! Sunday Switchup: Wise Old… Tree Stump? Does anyone else see an owl? Anyone? No? Just me? Maybe I should have added a beak. This entry was posted in Sunday Switchup and tagged Angel Island, North Bay. Bookmark the permalink. 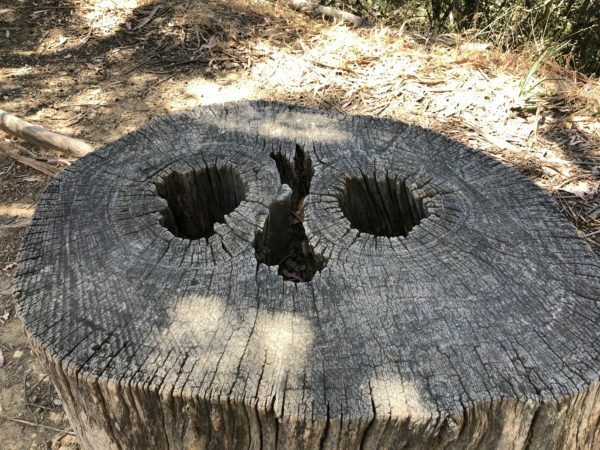 2 Responses to Sunday Switchup: Wise Old… Tree Stump? I do ;-}!! Wherever did you see this?!? It’s on Angel Island. I was there for a team outing with my coworkers recently.